We’ve partnered with local businesses to bring you a chance to win an awesome gift every day for the first 12 days of December. The giveaways are happening on our Facebook page. 1. 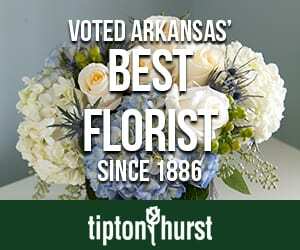 To enter, like At Home in Arkansas‘s Facebook page, like the Facebook page of the featured business, and tag three friends in the comments below the image. 2. New giveaways will be posted at 8 a.m. every day. 3. There’s no limit to the number of time participants may enter over the 12 days. 4. Winners will be selected randomly. At Home staff will verify winners have followed all instructions for entry. 5. Winners are responsible for picking up prizes at the retailer. What are you waiting for? Enter now on our Facebook page! “One Man’s Folly” Book Giveaway! Well, the kind folks at Rizzoli sent us a copy of the book and it’s gorgeous: Look! If you’d like to add this handsome book to your home library, enter to win by “Liking” our Facebook page and leaving a comment below to let us know that you have done so. Best of luck to all! And–based on our random number generator–the winner is: Sheryl Hutchins King! Congrats. Contact us at 501-666-5510 or email agill@athomearkansas.com to make arrangements to receive your book. As of this week, Fort Smith has a new shopping destination for local lines, furnishings, art and homewares! Located in the historic Brunwick Place, Hammons + Beck is the creation of Fort Smith resident Kat Hardin. The shop has a strong sense of both place and history, specializing in unique offerings from local producers as well as show-stopping antiques. In honor of the grand opening, Hammons + Beck is giving away a $50 Gift Certificate to one of our lucky readers this week! 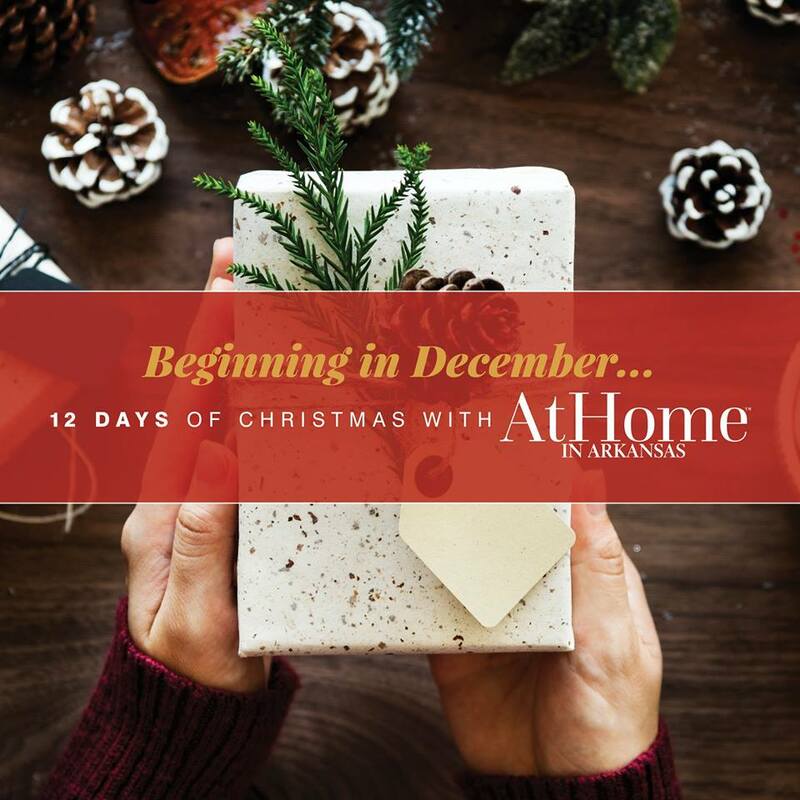 To win: “Like” the Hammons + Beck Facebook page as well as the At Home in Arkansas Facebook page, and then leave a comment on this post telling us why YOU want to shop at this new Fort Smith hot spot. The winner will be selected at 4pm this Friday, March 21st. Good luck! Want to see more of this great new store? Us too! You can also follow @hammonsbeck on Instagram for constant inspiration and to see the latest items as they roll in. 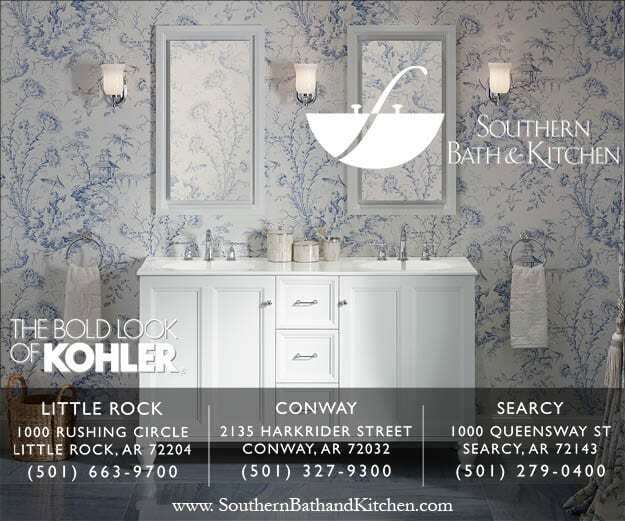 What an exciting new source for home furnishings in our state. Enter to win and then let’s do some shopping! AND THE WINNER is: Alyson Rodgers Wilson! It’s comment #5, which belongs to Suzannah Garrison! We’ll be contacting Suzannah, and keep reading the At Home blog for more wonderful giveaways, including tuition for two to Tobi Fairley Interiors Design’s Design Camp! We are so excited about this week’s giveaway! New York-based interior designer and author of the new book Dazzling Design, Amanda Nisbet, will be in town next week as a part of Tobi Fairley’s Design Camp A-to-Z. Not going to Design Camp? No worries!Â Amanda will be signing copies of her first book,Â Dazzling Design, at Cobblestone & Vine in Pleasant Ridge Town Center on Thursday, November 8 from 2:00-4:00pm and from 5:00-7:30pm. Since its beginning in 1998, Amanda Nisbet Design has become one of New Yorkâs most distinctive, sought-after creators of refreshing, abundant elegance. The designerâs signature bold embrace of pattern, color and texture, all held in exquisite balance, has enlivened exclusive residences in North America and Europe, and resulted in gracious, welcoming interiors that express Nisbetâs special alchemy of refinement and livability. One lucky At Home reader will win their own copy of this gorgeous book! Simply leave a comment below to be entered to win. A winner will be chosen at random next Monday, November 5. P.S. Today’s your last chance to enter to win a ticket to Tobi Fairley’s Design Camp A-to-Z, where Amanda Â will be a guest speaker! Leave a comment here to be entered to win. In our May issue we told you about Furniture Makeovers, a new book from Barb Blair featuring simple techniques and tips to transform ANY piece of furniture. Now, we’re giving you the chance to WIN A COPY! All you have to do to win a free copy of this practical and pretty DIY guide is tell us what piece of furniture in your home you would most like to transform. It can be anything from a chair to a headboard or even accessories. Leave a comment below and you’ll automatically be entered to win your own copy of Furniture Makeovers. Good Luck! P.S. To learn more about Barb and her furniture adventures visit knackstudios.com. UPDATE: Congrats to Melissa Reves, the winner of Furniture Makeovers. Please message us on Facebook or send an email to tburgess@athomearkansas.com to claim your prize. We’re thankful for each and every one of our loyal At Home readers, and in honor of the holiday season, we have lots of holiday goodies to giveaway. From music to home decor to holiday entertaining, we have you covered with gifts to give or simply enjoy. We’ll post a giveaway item on our blog each Monday leading up to Christmas, and if you leave a comment on the post, you’ll be entered to win. For today’s giveaway…the gift of music. See that great little speaker on the bar? It’s a Sonos Play: 3 wireless music system, which streams all the songs stored on your computer or through online music services to any room of the house. Find out more about it here and here. Sonos has graciously offered (1) PLAY:3 music system with a ZoneBridge that connects to your router so you can wirelessly play music in any (and every) room of the house (a $299 value) to one lucky At Home reader. Just leave a comment on this post–tell us why you’d like a Sonos player, or even just name your favorite holiday tune–and you’ll be entered to win. We’ll draw the winner randomly on Sunday, December 4th. And on Dec. 5th, we’ll announce our next giveaway (hint: it’s something new for the holidays from designer Tobi Fairley!). wine & design runway edition 2012 + 2 free tickets! What’s better than an evening of sipping on wine, nibbling appetizers, checking out new design resources and enjoying a fashion show?Â Inspired by the popular television series Project Runway, designers will be modeling couture fashion their team creates from the productsâcarpet, tile, flooring and moreâthey use in design work. Little Rockâs own Project Runway star, Korto Momolu, will be the master of ceremonies, along with fashion designer Jhane Barnes and a panel of notable judges (including At Home’s editor in chief, Diane Carroll) selecting the winning fashions. Proceeds will benefit Our House, an organization offering shelter and aid for the working homeless. For all the details, visit here. And, if you’d like to receive two free tickets to the festivities, simply leave a comment on this blog post. The winner will be selected randomly (via random.org) on April 23rd.